Hello! Happy first week of Spring 2016! After some snow last week we had a pretty spectacular weekend here at a mile high! But, being Colorado, more snow is predicted for later this week. No worries, I am an optimist and I just know Spring weather just has to be around the corner! How about you? Are you anxious for sunny skies and warmer weather too? One way to keep warm is to party and Kim & I just love having you stop by to share your creativity! 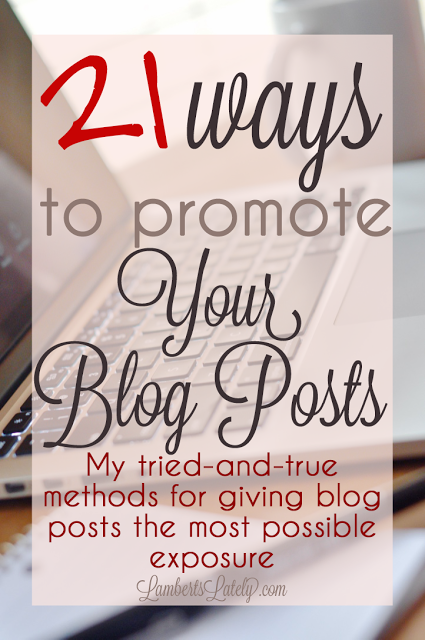 Leslie, who blogs at Lamberts Lately, shared a really comprehensive list of ways to promote your blog and your blog posts, thus making her the most viewed last week. I especially like #14 (wink)! 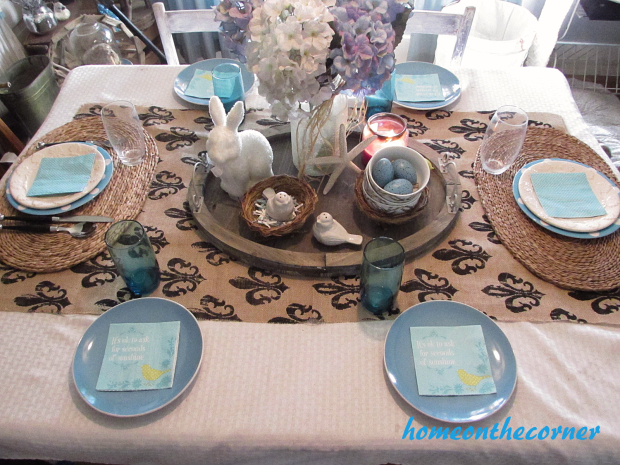 It seems like my favorite color this Spring is in the blue/ turquoise family so when I saw this tablescape from the gals at Home On The Corner, well, I just had to make it my pick of the week! I am totally in love with the flatware used too! 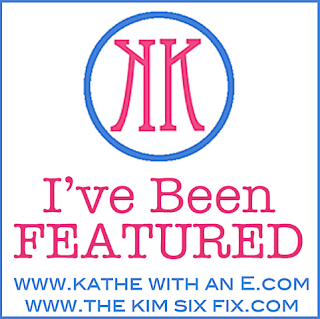 co-host Kim's blog, (she has a different Pick of the Week so go check it out...was it you?) make sure to grab an I've Been Featured button here. Happy Monday! I'm back again to link up with You're Gonna Love IT! Thanks so much for the opportunity! Thank you for hosting Kathe. Hope you have a very special Easter Week and thanks so much for the party! Thanks for hosting, Kathe. Have a wonderful week! Wow! Thanks so much for featuring my tablescape! I love turquoise too, as you can tell! I hope you have a wonderful week and thanks for hosting! You're Gonna Love It Link Up Party!